Find the ultimate junior Jaguar driving experience. You don't have to be an adult to drive a Jaguar with our huge range of Nissan experiences for kids, with a number of packages available for children as young as 10 years old. Take control of some of the British sportscar manufacturers finest creations including the Jaguar F-TYPE R in a safe environment alongside fully qualified expert instructors who'll help them get the most out of their time behind the wheel. Available at a number of great tracks and venues up and down the UK. See the full range of kids Jaguar experiences below. 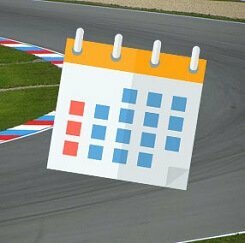 Find available dates for junior jaguar driving experiences with our live calendar. What is a junior Jaguar driving experience? 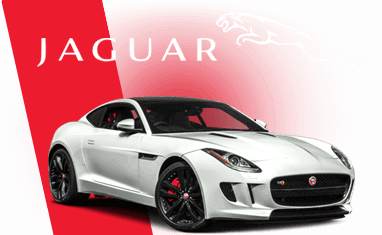 Jaguar is a car manufacturer whose name is synonymous with style, with no less than five cars appearing in a number of James Bond films, including the most recent movie Spectre. Juniors can now be like Bond and drive models like the Jaguar F-Type R and the Jaguar XE, with experiences available at locations up and down the UK, including Blyton Park in Lincolnshire, Castle Combe in Wiltshire and Chobham in Surrey. With one, two and three car junior driving experiences featuring Jaguars, passenger rides and young driver training, there's a huge range of packages for kids and teenagers between 11-17 years old. Our highly-rated young driver experience makes use of a 2-litre Jaguar XE and is a great introductory driving lesson for kids, with professional instructors passing on words of wisdom and helpful tips at every opportunity. All of our junior Jaguar driving experiences can be booked directly on to available dates, which can be found using our experience date picker. If you're not sure when you'd like to go, or if you'd like to gift and experience to a friend, family member or loved one, our 10-month open gift vouchers provide ultimate flexibility and are perfect for special occasions such as birthdays and Christmas. How Old Do You Have To Be To Drive A Jaguar? Our junior Jaguar F-Type, F-Type R and Jaguar XE driving experiences are suitable for teenagers and kids aged between 11 and 17, who are above 4' 10" tall.